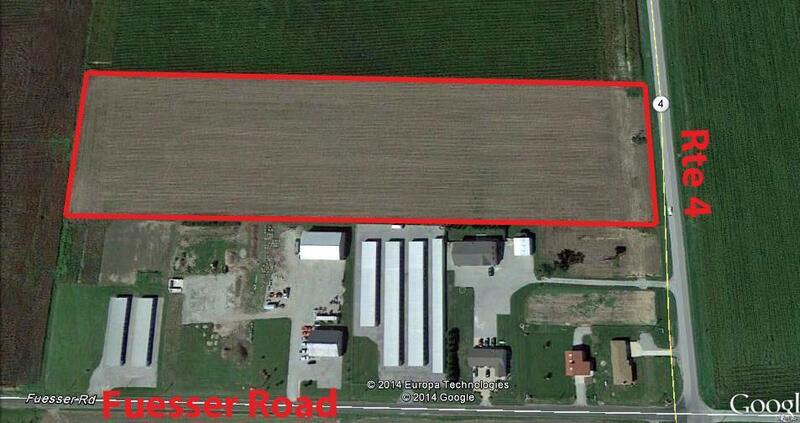 10 Acres +/- Commercially Zoned Ground or Farm Ground directly on Route 4 north of Mascoutah IL near Fusser Road. This parcel is zoned GC-General Commercial, and is located in an Enterprise Zone. There is 340 feet of frontage on Route 4, and has nearby interstate access. Located near Mid America Airport and within Mascoutah city limits. The is a 10 inch water main and 18 inch sewer main already in place on west side of Route 4, in front of property. Many possibilities with this great property in an amazing location. Great for Business Expansion or Development. Property is agent owned.